Up-and-coming K-pop boy group GOT7 is scheduled to launch its first showcase in Japan in April after signing with Japan’s Sony Music Entertainment. The seven-member act will stage its first overseas concert, titled “GOT7 Showcase 1st Impact in Japan,” on April 4 at Tokyo’s Ryogoku Kokugikan, where veteran JYP group 2PM had made its first Japan showcase four years ago. Although GOT7, which entered the K-pop music scene with its debut EP “Got It?” on Jan. 20, has yet to make a formal debut in Japan, the group is already enjoying high popularity there. More than 10,000 local fans have subscribed to the newly launched “GOT7 Japan Official Mobile Site,” according to JYP Entertainment. “GOT7 ― the first boy group launched by JYP in six years ― is kicking off its first Japan show at a huge stadium with more than 9,000 seats, just three months after its debut. We ask fans for their continued support,” said JYPE. 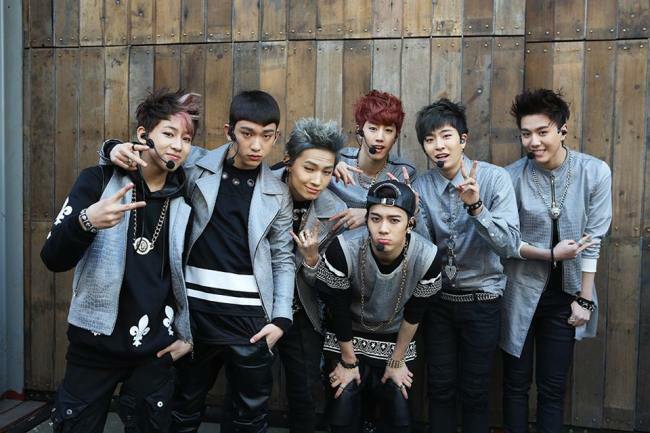 GOT7 will hold its second Japan showcase concert in Osaka on April 17.